The holidays bring about a mix of emotions. For some, it’s exciting — a time to celebrate, give gifts to others, and reconnect with friends and family members. But that’s not everyone’s reality. The sad reality is that not all parents accept their LGBTQ children. And during the holidays, this can be very difficult for some LGBTQ individuals who wish to be loved and accepted by their families. 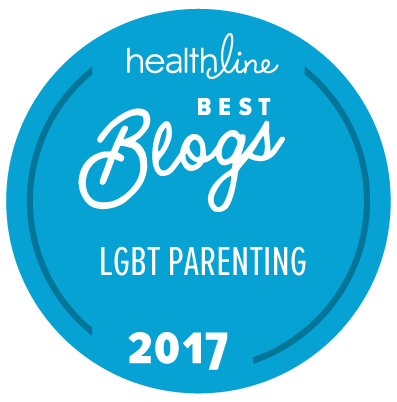 The “moms” are a diverse group of writers who have written letters that are then posted each day during the holiday season to these LGBTQ children, teens, and adults who need some support and love during this time. Some “holiday moms” are straight, some have LGBT children or siblings, some celebrate Christmas, while others — Hanukkah, but all have one thing in common — they want to let the LGBT community who is hurting during the holidays to know that they love them. I know you feel different, and not everyone you love has accepted you. But I accept you. And believe you. And am so proud of you to know already at your age who you are. Do you know how many people get far into adulthood without ever having heard their own drumbeat? You are ahead of so many and might not even realize, dear one. And I’m not the only one to be so impressed with you. There are people in your life now, and there are so many more on their way. But they all have one thing in common — they’re full of love and acceptance and we could all use a bit of that this time of the year. The great thing about Your Holiday Mom is that you, too, can get involved and share love and support to LGBTQ children. Each year, tons of “holiday moms” sign up and are asked to write a holiday letter which is then published on the site.